What a wonderful, successful night! Thanks to everyone who helped make our Spaghetti Dinner and Silent Auction a success! 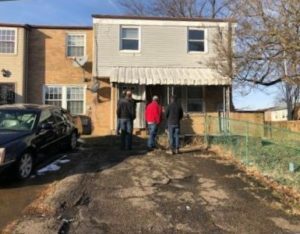 We raised over $22,000 to help defray expenses for our 2019 building projects in Puerto Rico, Pittsburgh, and Howard County. Whether you planned, organized, donated, cooked, served, bid, hauled, set up, tore down, ate, bought, or sold–it is very much appreciated! Special thanks to Delusions of Grandeur for their musical boost to the evening; they really rock! Kudos to Sugar Mamma Bakery and the Gelven Family for their respective donations of delicious “HOMEmade” cookies and wines. Also, congratulations to Matt Lazas, raffle winner of the iPhone!! DreamBuilders extends huge thanks to our community for supporting the team effort. You really help turn dreams into reality! Take a chance to win Apple’s top end iPhone in support of DreamBuilders. Only 200 tickets will be sold! This all-screen design, measuring 6.5 inches, is the largest ever on an iPhone. Includes 256 GBytes of memory, dual 12MP wide-angle and telephoto cameras, silver case. No SIM card included. Take the device to your cellular provider and they’ll add the device to your plan. Retail value is over $1,300. Basically, Apple’s top end phone. Definitely worth taking a chance! 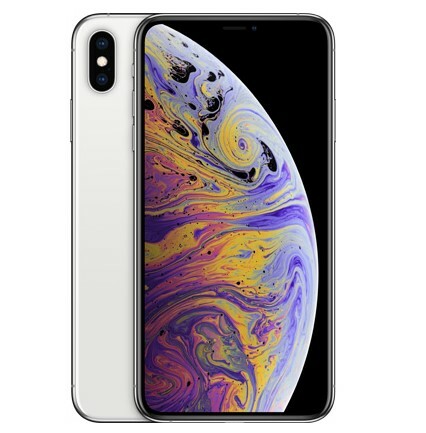 More about the XS Max: the OLED panels give the sharpest displays, with the highest pixel density, of any Apple device. With support for Dolby Vision and HDR10 titles from iTunes, Netflix, and Amazon Prime Video, wider stereo playback makes it all sound great. Your HDR photos — even those you captured before — will have a 60 percent greater dynamic range. A six-channel light sensor subtly adjusts the white balance onscreen to match the color temperature of the light around you. So images on the display look as natural as on a printed page and are easier on your eyes. The most durable glass in a smartphone, sealed and precision-fitted with the surgical-grade stainless steel band, helps create a more water-resistant enclosure — up to 2 meters for 30 minutes. iPhone XS even resists spills from coffee, tea, soda, and more. 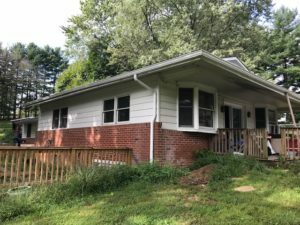 Help us finish repairs to a house in Sykesville in Howard Co. owned by a young military family. 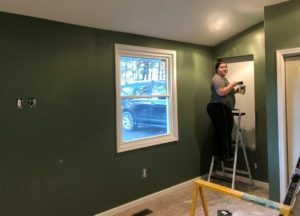 Remaining tasks include: insulating the basement; painting walls, ceilings, doors, and trim; flooring; and miscellaneous tasks (such as installing door knobs, venting, and a basement stair handrail.) Twenty volunteers are needed. The work day is 8:30am – 4pm. If you cannot work the entire day, just note your available hours on the form. Cost is $10 per missioner for materials. Lunch, water and snacks are provided. For more details, see the sign-up link. 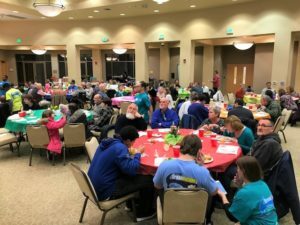 DreamBuilders and The Arc of Howard County share a long-standing partnership to improve homes for developmentally and cognitively challenged individuals. 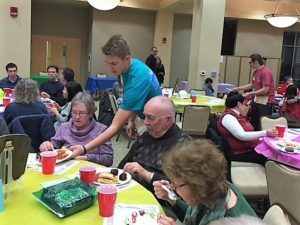 Together, they foster community acceptance and inclusion for Arc clients. This spring, we’ll renovate a group home in Ellicott City. This two-part project involves improving a basement and a screen porch. On March 16 we will begin work on the basement area, which is in need of new 2 x 4 frame walls, a handrail for the steps, and a custom door. The screen porch requires wheelchair accessibility, to include a ramp with a handrail, along with removing panels to cut in new door openings, and reframing. Our follow on work day for this project is planned for Saturday, April 13. We will be completing all outstanding tasks left after the first work day. The house is located on Valley Road in Ellicott City. This effort literally improves Arc clients’ choice and control over where they live and spend their time! We can use 20 volunteers each day. The workday will be 8:30 – 4pm. Lunch will be provided. Cost per volunteer is $10. For more details, please see the sign-up links. DreamBuilders invites you to our delicious annual fundraiser evening! 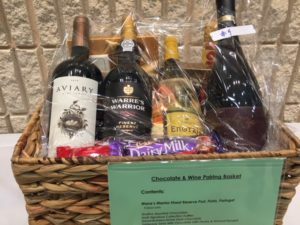 We hope you’ll join us for a fun evening and bid on a wonderful selection of auction items, including: sports, theater or special event tickets, vacation getaways, artwork, memorabilia, themed baskets, fine wine, gift cards, and children items. This is our major fundraiser; all proceeds will support DreamBuilders mission trips and projects throughout the year. Please come and bring your family and friends, too! 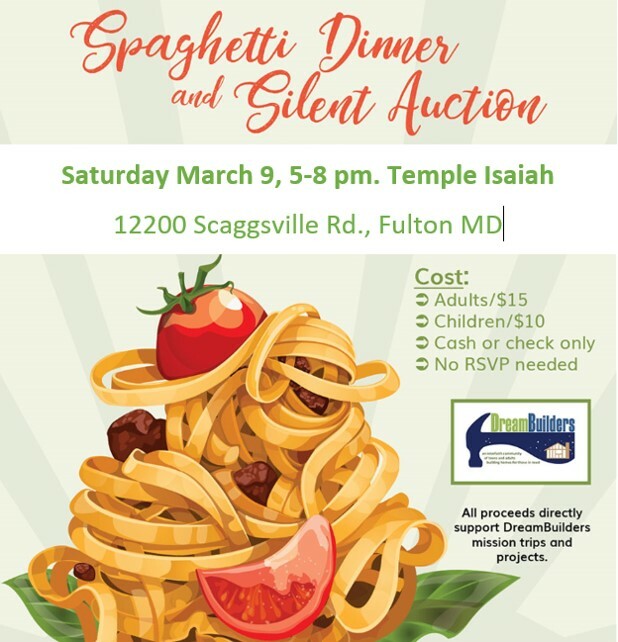 Spaghetti Dinner and Silent Auction takes place March 9th, 5-8pm at Temple Isaiah in Fulton. We’re getting ready for the summer of 2019. Mission trips to two locations are taking shape. Weather disasters and building community are influencing our destination decisions this year. 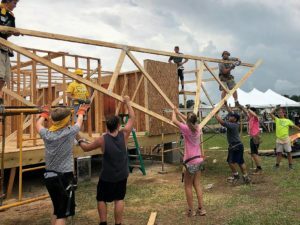 Come find out how you can be part of a team to help families in need–rebuild, and change lives! Please note the venue: St. Mark’s Church, 12700 Hall Shop Rd, Highland, February 10th at 2pm. Start the new year off right with an indoor construction day at the home of a military familly. The windows and baseboard trim work is complete and the central heat is on. Remaining tasks include: insulating the basement, painting, flooring, and installing hardware. Please register no later than the Thursday before the scheduled work day. If you can’t work the entire day, just note your available hours on the form. Cost is $10 per missioner for supplies. Lunch, water and snacks are provided.